Many moons ago I reviewed Ackles' third album, American Gothic, which was, frankly one of the greatest discoveries of this whole list. Now with the Mojo list I come to Ackles' self-titled début and it did not disappoint in the list. As an album it is markedly more minimalist than American Gothic, mainly voice guitar and organ, it doesn't have the grandiose arrangement of his later work. I would not say that it makes it better, but it makes it different and quite interesting. What it also shows is that Ackles really doesn't need that much to make strong, affecting songs. Pretty much every track here is amazing, and while Ackles follows a more pop structure here than in his later career, he still manages to develop his tracks to amazingly epic levels. 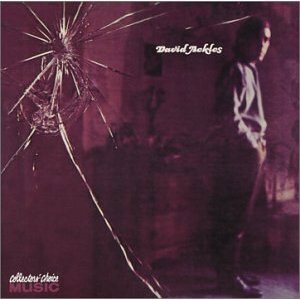 Criticised at the time for not having "enough melody" it sounds surprisingly modern exactly because of its epic minimalism... which seems like a paradox but really isn't, not for Ackles. Ackles' debut, described by music historian Richie Unterberger as Ackles' "most rock-oriented record", garnered faint praise from Rolling Stone critic Arthur Schmidt, who complained of thin melodies but who nevertheless described Ackles as "one of the best singers I've ever heard". The album's general mood is dark, unveiling what Piero Scaruffi described as Ackles' "eclectic and depressed talent". When you talk about influential early rock and rollers this collection is all the evidence you need to claim Chuck Berry as the most influential of them all. Elvis completely pales in comparison, you can hear echoes of The Beatles, Beach Boys or even T-Rex here that you can't get in any other of his contemporaries. This is a pretty amazing collection of hits from the mid-50s to the mid-60s, while none of them were number ones, they are doubtlessly some of the best rock of their time. John Lennon said that if you were to rename Rock 'n' Roll to any other name that name should be Chuck Berry, and he wasn't far off. 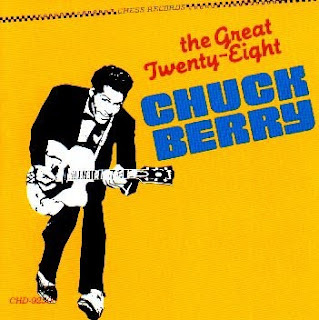 Chuck Berry is also an interesting author in the way that there is a clear universe to his music, populated with characters like Maybellene or Johnny B. Goode, who re-appear in track after track. And, most importantly, it rocks! In 2003, the album was ranked number 21 on Rolling Stone magazine's list of the 500 greatest albums of all time, the second highest ranking compilation on the list, after Elvis Presley's The Sun Sessions. 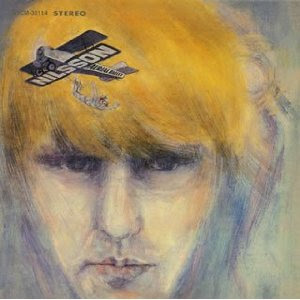 I have previously reviewed a later album by Nilsson (Nilsson Schmilsson, 1971), back in March 2007. And I deeply disliked that album, tracks like Without You or Coconut Song did not make it any favours. I was, therefore, pleasantly surprised to have liked this album as much as I did. There are some pretty phenomenal songs here, and not just the cover of Fred Neil's Everybody's Talking, which really made Nilsson's name. Tracks like One have become almost as well known in more recent times, and deservedly so. If I previously doubted Nilsson's writing chops based on Nilsson Schmilsson, this album makes me rethink it. So this is an album which is not lost in eclecticism like his later work, although it goes through some different styles. In fact this is a pretty tight album, well produced and arranged without ever going over the top and really making justice to some pretty great lyrics. Blue Cheer move into heavier metal with this, their second album. The move a bit further from the Blues-Rock idiom into a proper Heavy Metal sound. OF course we are talking here more of a proto-metal scene. 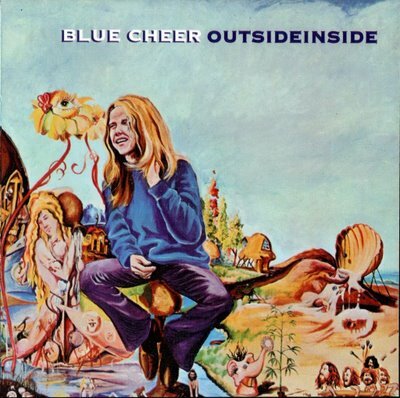 Blue Cheer are not Black Sabbath, however. Cheer's music is much sunnier and hence more akin to Zeppelin in feel, however the agressiveness with which the music is played points to later acts like Sabbath or the chronologically closer MC5. This is a simple compensation for not being the most proficient players in the world. This album is better than their first effort, however, and the playing sounds much tighter as does the vision behind the music, perfectly encapsulated in the double-speed version of the Stones' (I Can't Get No) Satisfaction. They had to record some songs at Pier 57 as the studio kicked them out for being too loud. When they were recording songs at Pier 57, they were so loud that people on boats complained they could hear the sound at 9 miles (14km) away. Because they recorded songs both outside and inside, they named their 2nd album "Outsideinside"